← Another snow day at the ranch! We’ve got yarn! I named it Scythia’s Royal Web, largely due to the “sticky” nature of the fiber – attracting and clinging to every piece of cardboard, grass, and debris within reach. Plus, it is what I imagine having white carpeting would be like – everything shows up. It is lumpy – like art yarn. I finally got the fiber cleaned (somewhat) and 3 bobbins of singles spun. 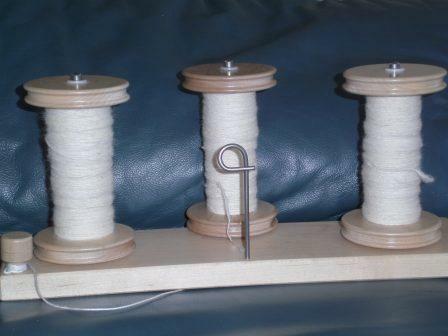 I did re-spin the first bobbin to add more twist since it had sat for a week. Then we ply. I invested in a large plying head/bobbin in order to make larger skeins of yarn. I don’t use any tension on my lazy kate (the bobbin holder) because I prefer to control the tension with my fingers. The trick is having even tension on all 3 singles while allowing the ply twist to enter all 3 singles simultaneously avoiding any one wrapping around the others. 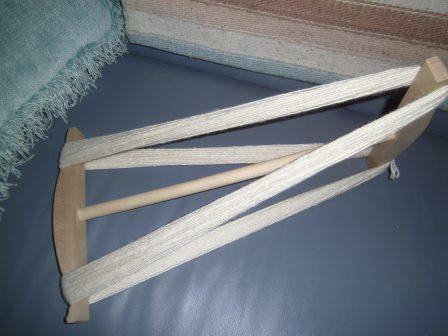 After completing the plying, we wrap the yarn onto the niddy noddy to measure it. 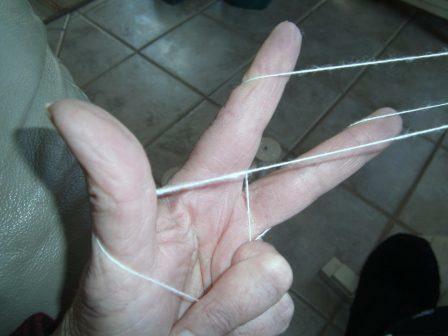 Mine is a 2-yard noddy, so you count the wraps and multiply by 2 to get the yardage. I got 220 yards from this run. 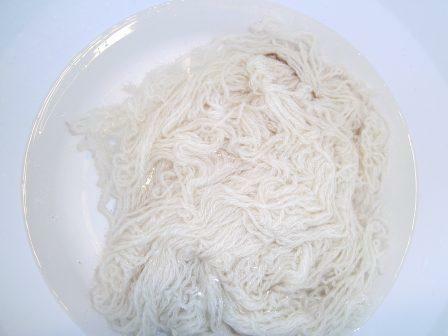 The yarn is then taken off the noddy and put into a hot bath with a little Dawn detergent for about 15 minutes. This helps to set the twist and allows the fiber to rest and open up a bit. A little vinegar is added to the first rinse – the fiber is looking like a bowl of spaghetti at this point! 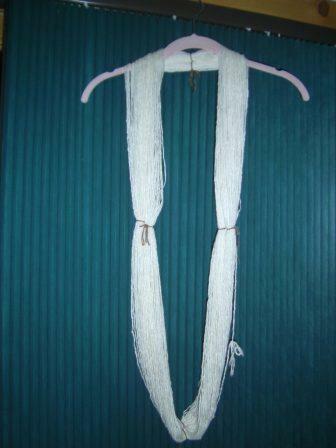 The yarn is gently squeezed and blotted on a towel to remove the water and is then “snapped” and hung to dry. If the yarn hangs straight and doesn’t twist on the hanger (YEAH!) 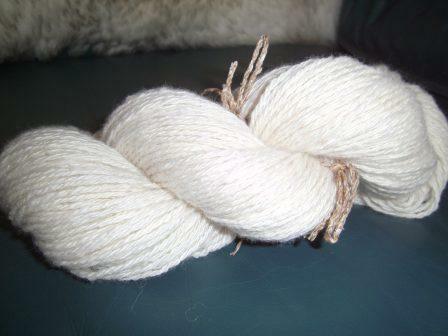 it means that the yarn is “balanced” – the twist in the singles matches the opposing twist in the ply. This entry was posted in fiber art and tagged alpaca yarn, handspinning, handspun yarn, plying, spinning, yarn. Bookmark the permalink.